The big beauty trend for spring is green and that is no exception, even in makeup. 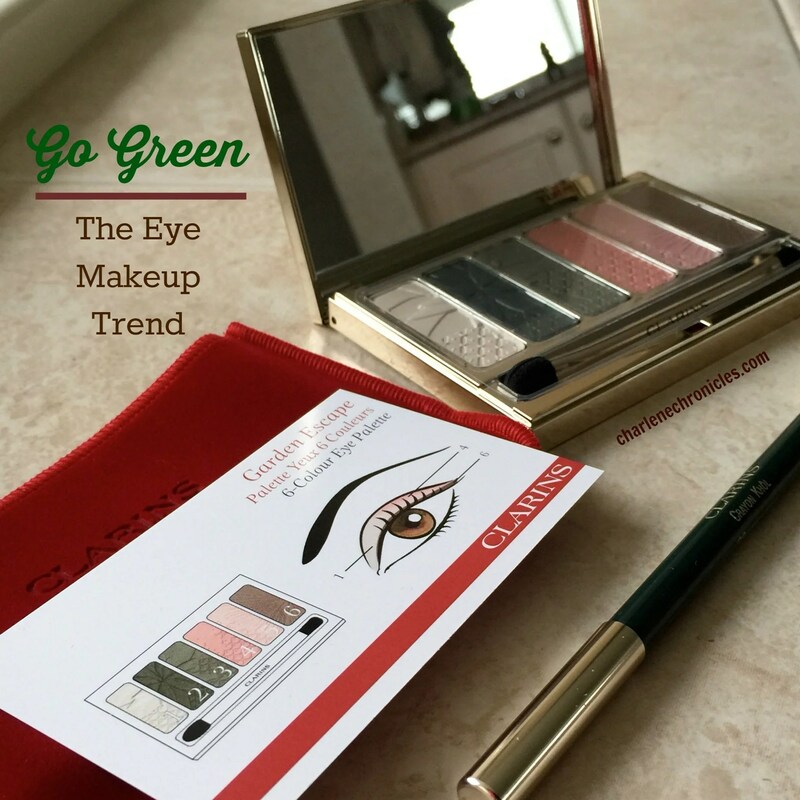 Clarins is on trend with their signature Garden Escape Eye Palette and Intense Green eyeliner. The Clarins Garden Escape Palette Eye Shadow has six shades ranging from white to pink, and taupe to green. Perfect for layering or blending, it gives that summer garden look to your eyes that can match perfectly with fashion’s spring floral and summer flowers. The dark green shadow is especially perfect for those that are color aficionados, but the green is also dark enough to entice a color novice with a foray into a spectrum other than black, gray or brown. It provides a subtle color that, upon inspection, introduces itself to the viewer without a garish hello in the process. Add the intense green eyeliner that is a bit of a misnomer, since it is not as intense as it is dark. The green is a deep forest green one imagines in the woods in the heart of Vermont. Alternatively, wear it alone or in pairing with a tried and true taupe shadow for an interesting twist in a standard makeup look. Even if you don’t have the budget to follow spring’s fashion, for less than $75 you can work yourself into a front row seat.